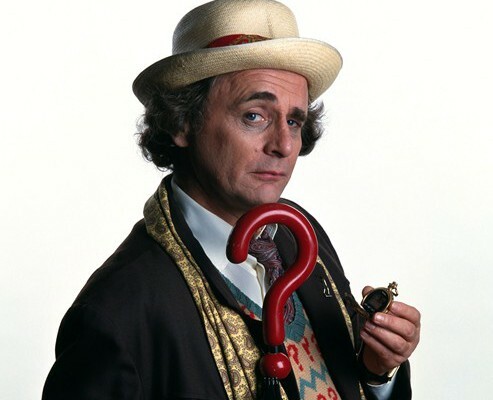 Who in your opinion is the definitive incarnation of the Doctor? The Hive » Doctor Who » TruWho » Who in your opinion is the definitive incarnation of the Doctor? This is a rather cliche and unimaginative thread I know, but I'm genuinely really curious to find out which incarnation each of you guys consider to be the all time definitive version of the Doctor. For me personally, it has to be William Hartnell. He will always be the greatest Doctor of all time in my eyes. Loved his portrayal as the stern, fearsomely intelligent and authoritative old man. He was also a truly excellent actor. His iconic speech in the Dalek Invasion of Earth when he leaves Susan behind is easily one of my all time favourite moments in the show's history. I also loved the amount of growth and character development his Doctor went under. He initially started off as a cruel, selfish, cold, uncaring, pompous, irresponsible shell of a man. And during his run you gradually see him develop into the warm, heroic grandfatherly type figure which would later go on to be the template that all his successors would follow. So you can all imagine how pissed off I was when they desecrated his character in Twice Upon a Time. But I digress. That's rather unexpected, Maxil. I was absolutely certain that Colin was your all time favourite. I've always held McCoy in higher regard than Baker. I have enormous love for both Doctors, though. Honestly, I rate Six so highly based solely on season 21/22. The character in the Trial season, BBC books and Big Finish seemed a bit off to me. If the detractors of Six rave about him in the audios then clearly something is amiss with the characterization. You just know all the pink-haired, problem glasses-wearing shippers and squeers would vote for Tennant though. I'm on the fence between Tom and Jon. Whilst Colin isn't flavour of the month on here anymore it's a shame he was given such a hard time and such a stupid coat. I'll always have a soft spot for Sylvester though because he was the 'current' one when I was discussing stories with mates, he had a certain quality which made him ideal. Tennant's annoying but I'd have Capaldi as least essential portrayal, not entirely the actor's fault, tho his successor is unlikely to win me over, sorry. Tom Baker, obviously, though Hartnell is very close and Sylvester will always be "my Doctor", as the saying goes. It's McCoy and anyone who says otherwise is just pretending. Have you seen Remembrance of the Daleks? That bit where he tricks Davros. I am gonna say Colin Baker just to piss Toiletman off. Jon Pertwee was the best for me personally as he embodied all of the qualities the Doctor should have. The Doctor should be the smartest person in any situation, have authority, be a bit arrogant, quite eccentric, seem like a scientist who is interested in solving the secrets of the universe, have a twinkle in his eye and a fun sense of humour, yet also be a stern grandfather figure. He should be someone younger viewers like cause he's fun, but also know he wouldn't put up with any nonsense and be a safe pair of hands. Pertwee IMO embodied all of those qualities. He always seemed smarter than most people around him. Indeed a lot of his stories are about trying to get idiots to listen to him like The Silurians, Inferno, Frontier in Space, Day of the Daleks. He had real authority. He took command everywhere he went. He also though playing it straight, was naturally quite odd and unusual. The way he dressed, his mannerism, his cars. It was a bit more subtle. He didn't have to come in and go "WOOOOOO LOOK AT ME HOW WEIRD AM I" like the New Who Doctors. He also could be quite arrogant. I always loved that bit in Carnival of Monsters where that guy says "oh you don't travel so well" and Jo goes along with it, as it helps their cover story, but he is just so proud he gets angry and says "On the contrary sir!" He also obviously captured the characters love of travelling and restlessness too when he was trapped on earth, and his Doctor had a great sense of humour like when wound up Stahlman, or even the Master. "I wouldn't do that if I were you. That's government property." I also always loved the bit in the Time Monster when he blows his cover with Irongron. "Isn't that a bit unsporting old chap? I mean sitting ducks and all that"
Finally his Doctor always felt competent, even though he was actually one of the most captured, beaten up, tortured and generally in distress Doctors. Think of the amount of times Pertwee is smacked about or tortured compared to Hartnell or even Troughton? So it wasn't like they made him a Superman who always gets through everything no problem, but he wasn't useless either. After Jon it would definitely be Tom. I'll concede that Tom may objectively be the best. He is certainly the most alien and eccentric. His personality is just so massive. You're almost amazed that the screen can contain it! Jon Pertwee was a lot more conventional, standard, stiff upper lip English hero, with his "old chap" stuff, but I really, really, really like that type of hero so that might be another reason why I rate Jon just a bit above Tom. William Hartnell would be third place. His Doctor has unquestionably the most complex and interesting personality, and it was for that reason that the Doctor has survived for so long. After those three I'd rate the other classic Doctors as being equal. All brilliant, but not quite what those three were. Matt Smith was the best of the modern lot by a continent, never mind country mile. At one point I would have rated him the third best, but I've come to view Hartnell's Doctor more favourably, and there were some problems with Matt's Doctor, typical of other new who Doctors. He was emo, romantic, too zany for the sake of it at times etc. Still Matt's performance and characterisation was perfect and had he stayed in the role longer, and not been lumbered with Moffat then he could have been as good as Tom Baker, as he was the most naturally eccentric and alien since Tom. Chris and David I'm sorry were not good. Both brilliant actors, and I've tried to fit them in with the others, but they were never written as the Doctor. Could have been better with more Doctorish material, but even then in Tennant's case, since he seemed to agree with a lot of RTD's ideas like the Doctor/Rose love story, he didn't seem to get the character well at all. Capaldi wasn't even a Doctor. By that point the show belonged to a divisive ideology that had nothing to do with DW. Jodie meanwhile isn't a true Doctor anyway. She's less official than Peter Cushing! For me it's Doctor Who 1970 to 1980, ie Jon Pertwee AND Tom Baker, as the same essential character "going in" and "exiting" again. The change up in 1970 defined the classic show and the entirety of post Tom Baker classic Who is one long attempt to recapture it against a backdrop of fans in charge of the asylum and one bad decision after another. I'm gonna go with 7 as my favourite. Such an underrated characterisation of The Doctor. I feel if he'd have had sufficient time and better writing, he would be held higher in fan's regards. Colin get an honourable mention also! Tom Baker. I still remember how emotional it was when he left (I was eight). His Doctor could be dangerous... and so fascinating. The enormous intelligence of Tom Baker seeped through into his Doctor, and there is so much to enjoy on many repeated viewings. The sense of danger in the Hinchcliffe years is palpable, as is the sense of fun in the Williams years and the sombre atmosphere of the unique season 18 (incidentally the last time Doctor Who was ever on for over half of the year - when Doctor Who was so present in the audience's minds). Spellbinding. I also felt that the early Doctors were paired in some way. William Hartnell and Patrick Troughton were two sides of the same coin, as was Jon Pertwee and Tom Baker, and also Peter Davison and Colin Baker. Marvellous actors, marvellous interpretations, and to top it all off along came Sylvester McCoy giving a marvellous jewel of an interpretation at the end. Great times. 14 Re: Who in your opinion is the definitive incarnation of the Doctor?